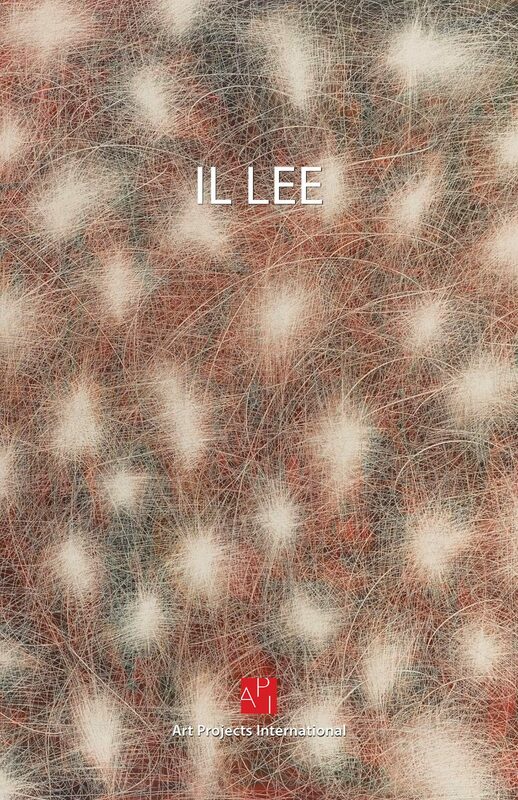 Art Projects International is pleased to announce IL LEE: New Work, an exhibition of the latest evolution in Il Lee’s paintings. 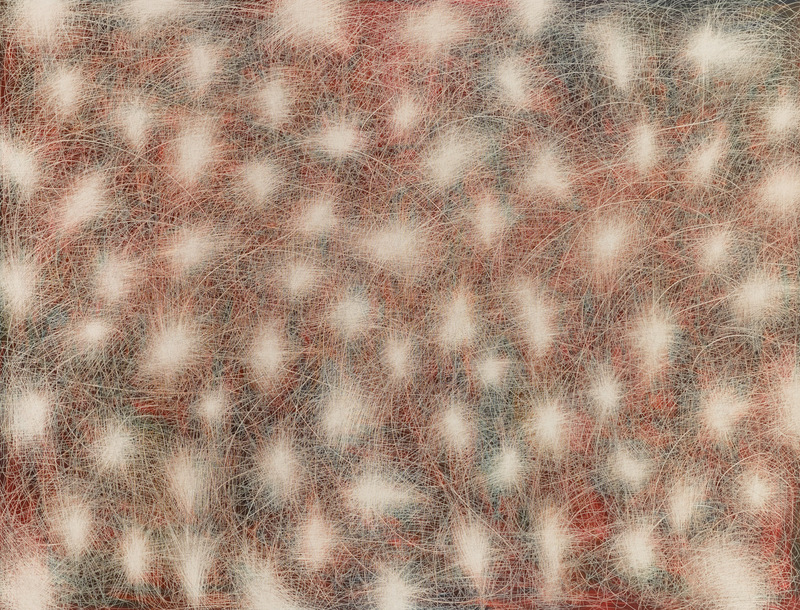 On view from March 14 to May 25, 2013, the exhibition follows Lee’s successful 2012 solo exhibition in Seoul where several of these paintings were introduced. 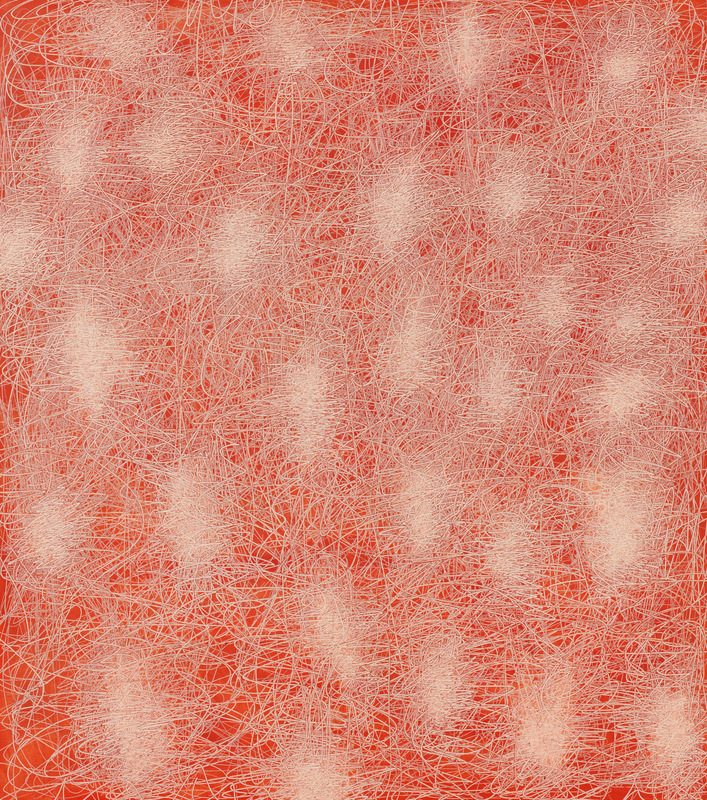 Now, at Art Projects International, New York viewers have a chance to be the first to see this current body of work. 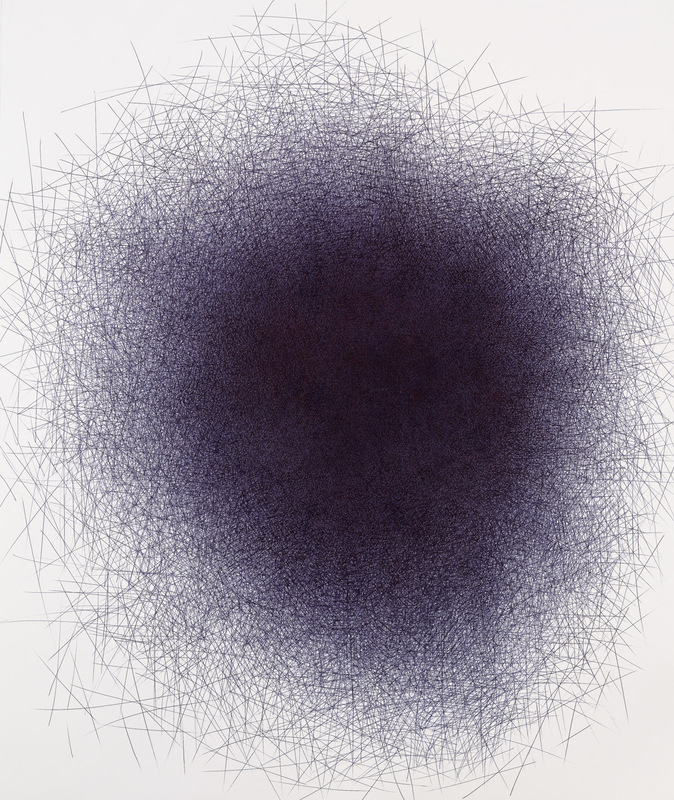 Il Lee continues, as he does in his ballpoint pen work, to explore the potential of line and how it can appear to loop eternally, mass into multidimensional forms or be abruptly curtailed. He has achieved brilliant effects by introducing new colors, mixing various media on a single canvas and working with new tools. In the large painting RIW-1301, arrays of seductive white starbursts greet the viewer through a pied field of red and indigo. 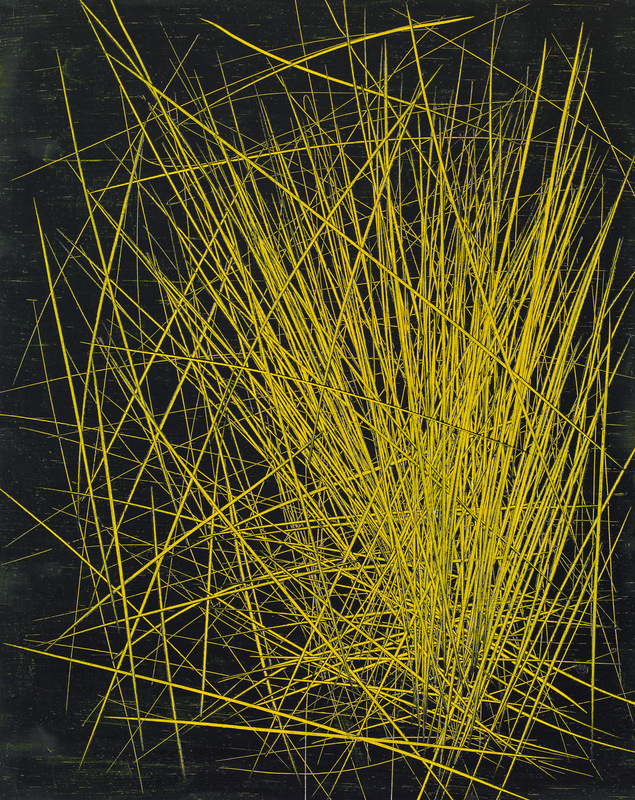 In works like RW-1207, the lines between and within the starbursts gather and come alive, becoming their own dominant theme. 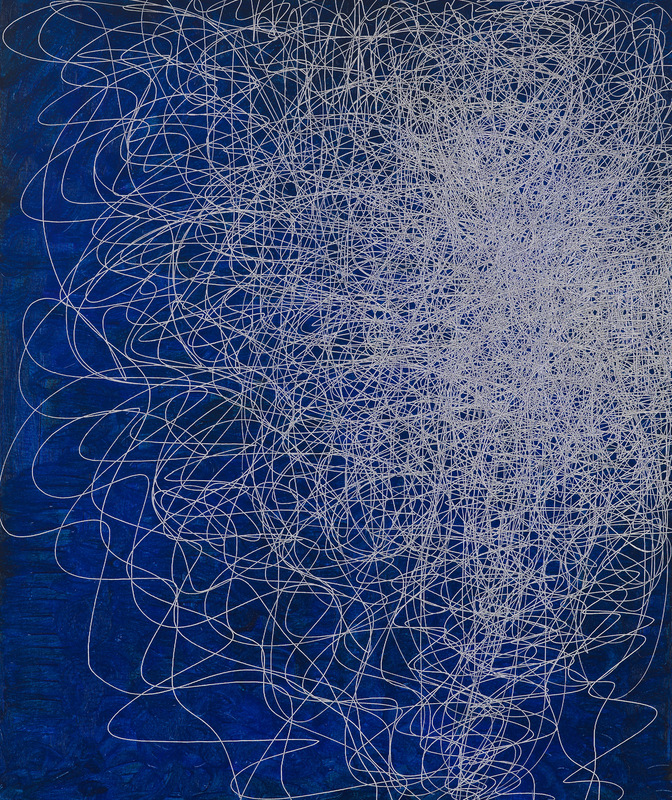 In other works, colorful, raw orchestrations of short stick-like lines suggest futurist depictions of movement, and in still others, endless lines of indigo bring to mind his signature ballpoint pen work. Over the past decade, Il Lee’s international presence and his following have continued to grow. This year, concurrent with the exhibition at Art Projects International, his inclusion in The Aldrich Contemporary Art Museum’s Ballpoint Pen Drawing Since 1950 brings home the critical acknowledgement of the importance of Il Lee’s contributions. His work will be shown along with that of Rita Ackermann, Alighiero Boetti, and Martin Kippenberger, among others. 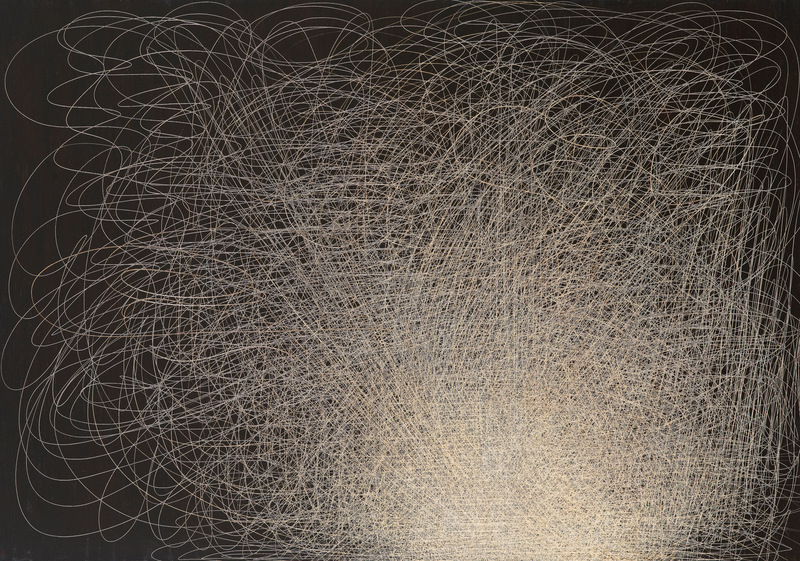 Characteristic of his practice, Il Lee continues to find new ways to expand the boundaries of contemporary drawing and painting. 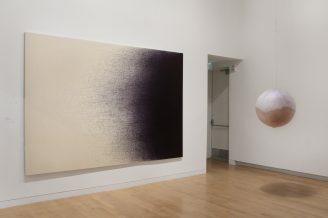 Critically acclaimed and widely exhibited, Il Lee’s oil on canvas work and his ballpoint pen work on paper were exhibited in 2010-2011 at The Metropolitan Museum of Art in New York. Previously, Il Lee’s innovative and historically grounded ballpoint pen works were the subject of a mid-career retrospective at the San Jose Museum of Art in California. 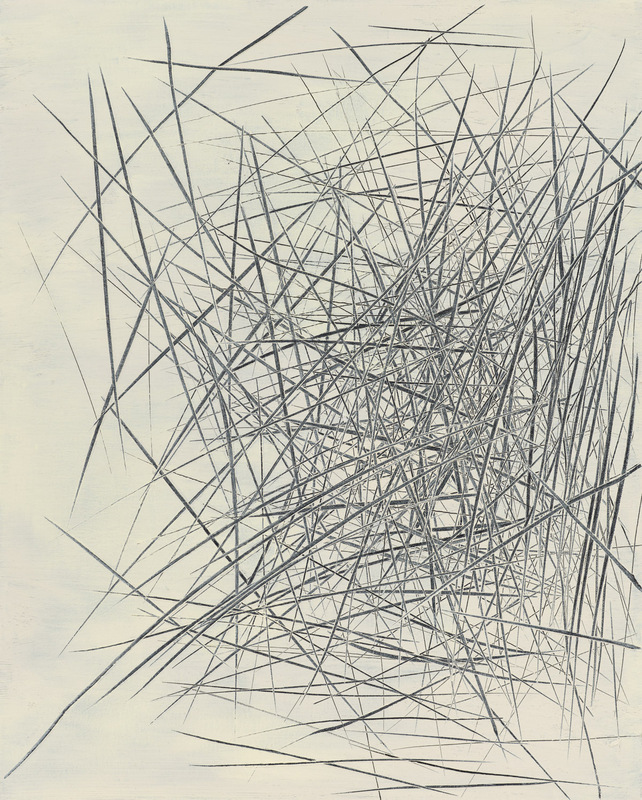 Recent solo exhibitions include: Il Lee and The Line of Duration, Gallery Hyundai, Seoul (2012); Il Lee: Monoprints, Editions and Paintings, Art Projects International, New York (2011); New Vision: Ballpoint Drawings by Il Lee, Crow Collection of Asian Art, Dallas (2010); Il Lee: Ballpoint Drawings, Gebert Contemporary, Santa Fe (2009); Il Lee, Vilcek Foundation, New York (2008); and Il Lee: Ballpoint Drawings, Queens Museum of Art, New York (2007). His work is represented in major collections including the Metropolitan Museum of Art, Leeum Samsung Museum of Art, San Jose Museum of Art, Vilcek Foundation and National Museum of Contemporary Art, Seoul. 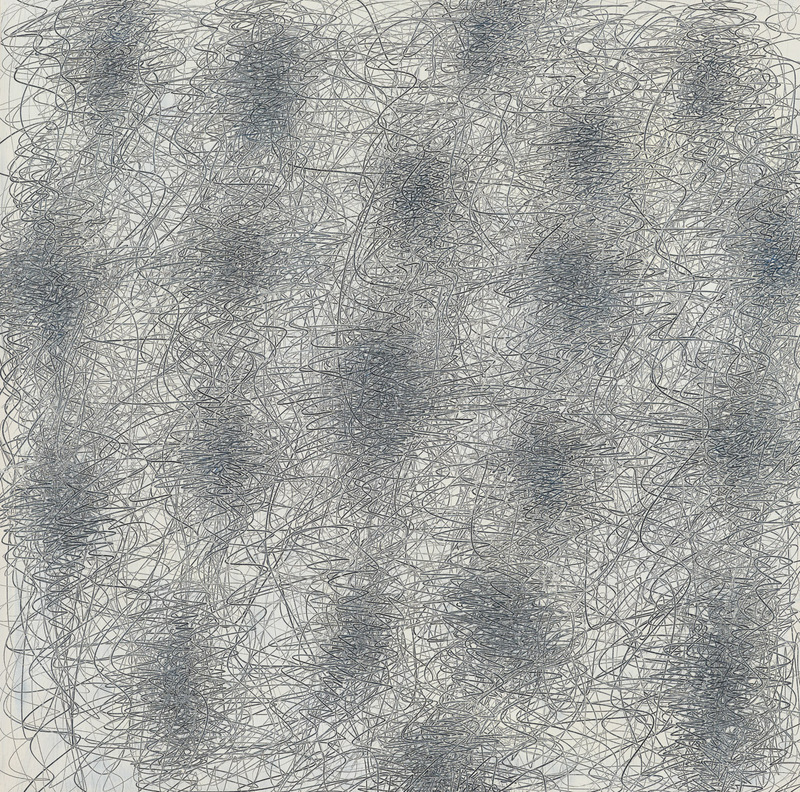 Large works by Il Lee are currently featured as part of Extreme Drawing in Ballpoint Pen Drawings Since 1950 at The Aldrich Contemporary Art Museum, on view though August 25, 2013.